Do you want to get well-known, famous and publicized? Are you thinking about hiring a personal publicist? If so, do you have a questions about what a personal publicist does? Should you really hire one? And even if you wanted to, where do you find one? Keep reading to learn more about hiring a personal publicist. First and foremost, personal publicist exist to bring you publicity. Whether you are a solo entrepreneur, book author or rock band, personal publicists offer experience and expertise in marketing your brand. They can help generate awareness, interest and a loyal following. As a growing business, who wouldn’t want to have a larger fan base? Of course, it is not as easy as it sounds. And, business owners are rather busy. It can be difficult to keep up with all the tasks required to really promote and communicate a brand effectively. Do not wait until you have a PR nightmare to hire a publicist. A personal publicist will not only save you time from having promote your brand across several channels, they will probably do it better than you too. Personal publicist are trained in public relations, social media and overall brand awareness. Many of them have existing relationships with local and national media channels. Furthermore, they have been in the industry long enough to capture unique placement opportunities in television and radio. These are not always readily accessible to everyone, but only to industry veterans with existing relationships. Of course, you could always hire a virtual assistant and try to achieve the same results without having to offer sponsored retirement plans. But, you’d be missing out on all the experience and knowledge of a real publicist. On top of that, you would have to train and manage the virtual assistant more closely than a personal publicist. PR experts have the right connections that can help your business. Publicists can oftentimes have personal relationships with crucial people in the industry or media. That affords your business a new perspective for managing public relations. When you have friends in the right places, you can easily navigate public relations nightmares. You can even avoid them all together. That is certainly one reason to hire a publicist for business operations. To find a personal publicist, it pays to do some research. If you own a business that sells or manufactures hearing aids, you are going to have different needs than a business that fixes computers. You can use PR companies who will “loan” you a publicist. Secondly, you can search for a publicist on the internet. Third, you can advertise the position on publicist job posting sites, regular career sites like Indeed, Monster and CareerBuilder (also social media sites like LinkedIn, Facebook, Twitter and Craigslist too). Finally, you could consider using a recruitment firm that specializes in the media or public relations. Once you have a good pool of potential publicists, you have to evaluate them based on their experience, prices and services offered. These are standard best practices for hiring. Almost every publicist we’ll have their own strategies and methods for bringing you exposure. Depending on your company’s budget and brand, it is up to you to determine a proper fit and make a selection. With all the publicists out there, how do you know who is best? Well, that is what we are here for. These are some of the best publicists in America, so if only the best will do, consider these names. The three listed above are the best PR agencies of today. Even if they are out of your price range, do some research to see what they are doing right. Then, try and pick a top PR firm in your price range with similar qualities. Remember, great publicists understand the importance of a return on investment. They will take the time to really understand your brand, identity and where you want to be. Finally, a personal publicist will successfully deliver results that bring your brand the awareness you have always wanted. 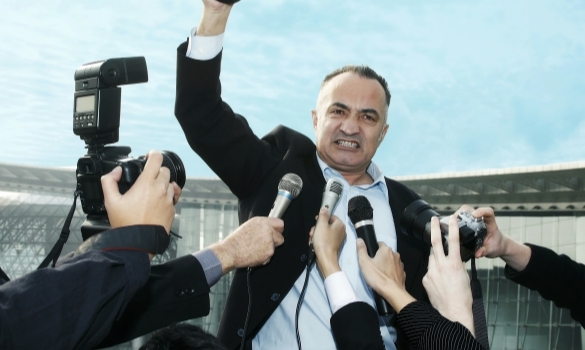 Hiring PR experts will give you the same great results you business experienced when it decided to hire veterans.